A natural flavoured dairy and protein powder blend with added vitamins and minerals and sweetener. Use in conjunction with food as a Meal Replacement for weight control. The Active Women Meal Replacement™ is a complete meal solution containing our signature blend of vitamins and minerals, designed to meet your appetite demands and our quality standards. This product boasts a strong macronutrient profile and added minerals, fibre and vitamins, however we don’t sacrifice on taste with our fantastic choice of mouth-watering natural flavours – discover your favourite today! 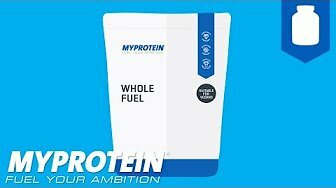 Protein – this nutrient dense formula delivers over 18g of protein per serving; this macromolecule supports the growth and maintenance of muscle mass. Calorie content – perfectly tailored towards calorie controlled and weight-loss diets with approximately 200 calories per serving. Formulation – specific selection of minerals, fibre and vitamins such as Biotin, which contributes to normal energy yielding metabolism. Natural Flavourings – including popular Velvet Vanilla, Strawberry Shortcake, Chocolate Truffle and Banana Split selections. Added Inulin – To complement the vitamins and minerals in this blend, we’ve added Inulin. This amazing dietary fibre was recently featured on the BBC’s ‘How to Stay Young’ documentary. servings per day provide 820kcal. Ingredients Skimmed Milk Powder (41%), Whey Protein Concentrate (11%) (Contains Milk and Soy), Fat Concentrated Powder (11%) (Refined Soy Bean Oil, Maltodextrin, Milk Proteins), Soy Protein (11%), Creamer Concentrated Powder (8%)(Refined Coconut Oil, Whey Powder (Milk), Milk Protein), Maltodextrin, Inulin, Tripotassium Citrate, Flavouring (Colour (Curcumin), Natural Flavouring, Sweetener (Sucralose)), Thickener (Xanthan Gum), Acetyl L Carnitine, Di Potassium Phosphate, Sodium Chloride, Calcium Chloride Dihydrate, Vitamin and Mineral Premix (Folic Acid, Vitamin C, Niacin, Iron, Vitamin E, Zinc, Pantothenic Acid, Fluoride, Manganese, Vitamin B6, Vitamin B2, Vitamin B1, Copper, Vitamin A, Iodine, Vitamin K, Selenium, Molybdenum, Biotin, Chromium, Vitamin D, Vitamin B12), Magnesium Oxide. Whole Fuel | What Is It? Who Is It Suitable For?